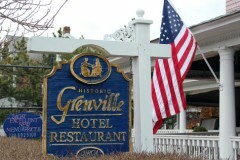 A historic hotel and a church in Bay Head are among a number of historically designated sites statewide that will receive federal grant funding related to Superstorm Sandy, state officials announced Wednesday. 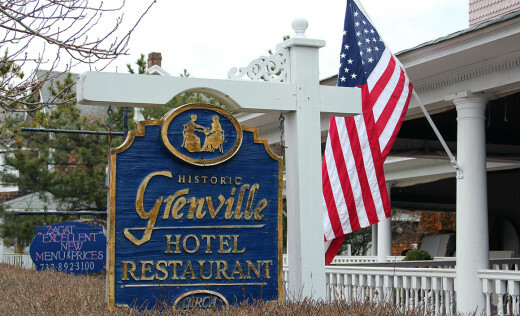 The Grenville Hotel and Restaurant and All Saints Episcopal Church will receive grants of $301,000 and $151,000, respectively. The Sandy Disaster Relief Grants for Historic Properties will fund the preservation, stabilization, rehabilitation and repair of the historic structures that were damaged by the storm, Department of Environmental Protection Commissioner Bob Martin said in a statement. In Ocean County, the U.S. Lifesaving Station in Seaside Park will receive $371,049 in funding and the county-owned Cedar Bridge Tavern in Toms River will receive $125,426. Other buildings to receive funding include the Holy Innocents Missions Church in Beach Haven, owned by the Long Beach Island Historical Society, and three structures in Tuckerton – the Andrews Bartlett House, the Tuckerton Emporium and the 31-foot Morton-Johnson cutter White Cap. Altogether, the state will disburse $7,775,014 to 37 sites in 12 counties. In addition, grants were approved for two Sandy-battered state historic properties: $2 million towards the restoration of the historic Central Railroad of New Jersey Terminal at Liberty State Park in Jersey City and $500,000 towards a structure and shoreline protection project at historic East Point Lighthouse in Maurice River Township in Cumberland County. “This restoration work will allow future generations to fully enjoy and treasure these historic sites, which enhance the quality of life for all residents of New Jersey,” said State Historic Preservation Office Administrator Dan Saunders.